Football Federation South Australia (FFSA) is pleased to announce Elite Systems Australia as the inaugural naming rights partner of The Parks Football Centre. The facility will be referred to as the Elite Systems Football Centre. Elite Systems Australia offers the industry’s premier selection of seating options. Seats designed for style and comfort that are engineered for safety and performance. 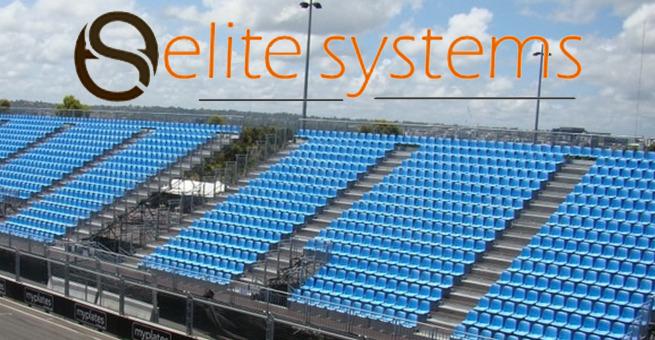 Elite Systems can offer a selection of seating options that are second to none. Ergonomically designed for comfort, aesthetically pleasing to the eye joined with sustainable production, but also for safety and low maintenance. Football Federation SA CEO, Michael Carter welcomed Elite Systems Australia as a valuable corporate partner of the FFSA. “Announcing a naming rights partner for one of our facilities is exciting. The Elite Systems partnership is not only a win/win for the FFSA and Elite Systems but will be a win for spectators coming to local PlayStation 4 National Premier League’s games. The partnership between FFSA and Elite Systems Australia commenced officially on 1 January 2015 and is for a three-year period, with an option to extend at the end of the term. Managing Partner of Elite Systems Australia, Michael Clarke was equally excited about the announcement of the new partnership between Elite Systems Australia and FFSA. “We want all spectators to watch football in comfort. Quality venues attract crowds and we are excited to form a partnership with the State’s Governing body for Football.